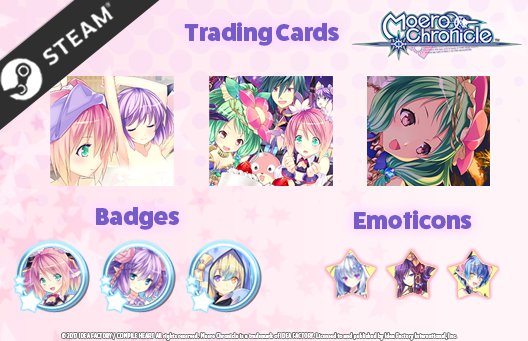 Trading cards, Emoticons, Steam Profile Backgrounds, and Badges are now available for Moero Chronicle on Steam! Collect these moe rewards as you play! Enjoy the 30% off launch discount if you buy the game within this opening week! Looking to buy the Deluxe Pack as well as the game? Don’t miss out on the extra 10% discount with the Deluxe Bundle!